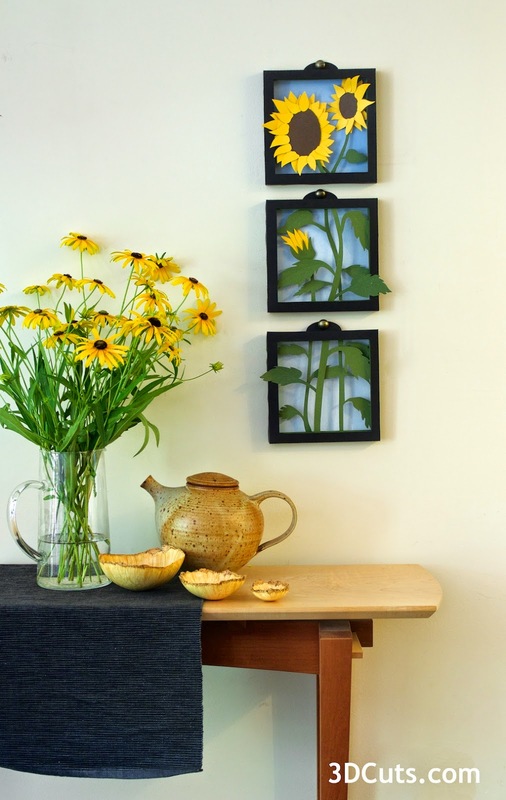 This triptych is composed of 3 shadow boxes, each made up of 4 simple layers. Constructions was easy because each layer is basic. 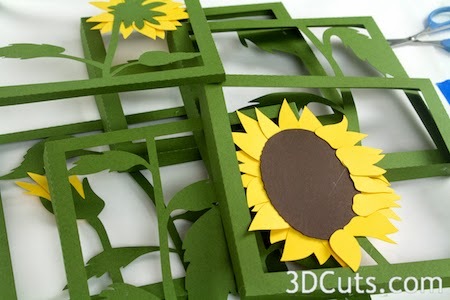 The cutting files are available here at 3DCuts.com. There is an in-depth pictorial tutorial here.